I have been using QuickBooks for a year with several or countless transaction entries in my company's data files, how do I perform a quick data entry search without combing through the rigors of selecting tabs on the software menu? 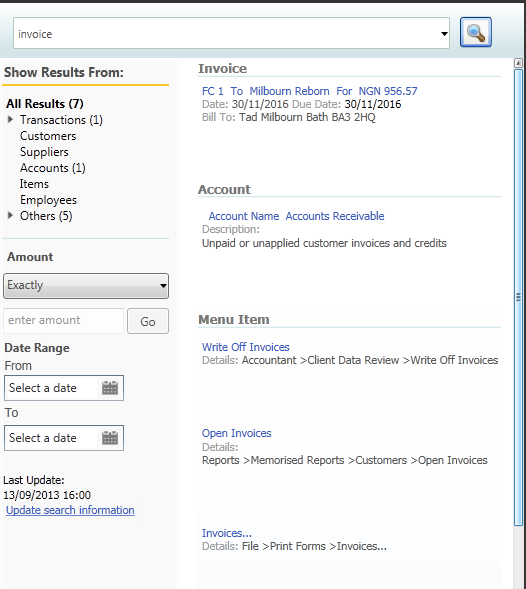 Here is a brief guide on how to search a specific transaction in your QuickBooks software. 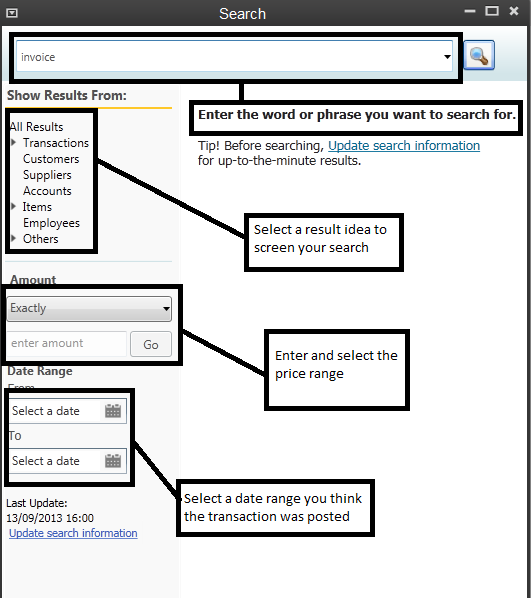 Use this Search window as labeled tailor your transaction searches to a specified criteria for a better result. Click the search symbol to start. 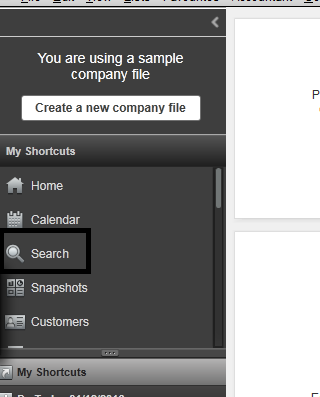 This window shows the result of your QuickBooks search.